Few months back, Nami and I played gift exchanged. 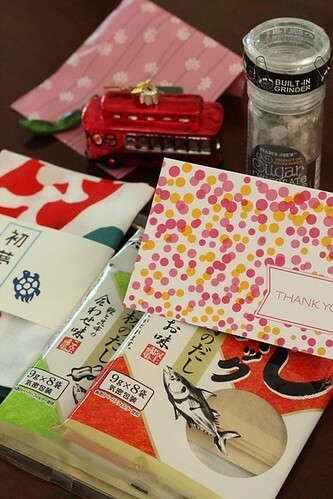 She gave me so many things, accessories for photo taking and Japanese ingredients. Thank you so much Nami ! sorry for my late mentioned. Attractive Japanese style of tea towel given by Nami too. Heat oil in a wok, sauté chopped spring onions for few seconds. Add in beans and carrot, stir fry for 1min. Push beans and carrot aside, pour in egg and scramble it a bit. Add in rice and chopped Chasu, season with salt, stir fry to well combined. Sprinkle mirin at the side of wok, add in pepper, mix well with rice. Looks yummy! I love Japanese friend rice, a bit less oily than the normal ones. Oh, my favourite fried rice, no matter is Malaysian style or Japanese style, or 楊州炒飯，hami炒飯我多多都吃得下！Can see that you have given lots of love in this bowl of fried rice, even made the japanese chatsu. Yummy Japanese fried rice, I tabao for tomorrow lunch. Btw, I have made ur Japanese pancake, it's very nice..but I didn't take any photos because I made it for dinner and night photography is so difficult. Thanks for sharing. Torture ni. Tengah hungry. Had early dinner niw tummy playing drum. 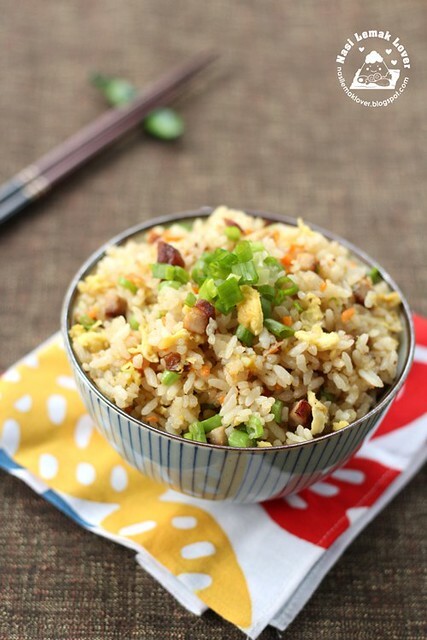 Love this hearty fried rice, simply delicious! Nami sure has cute dishware tools! Looking good, love your props! 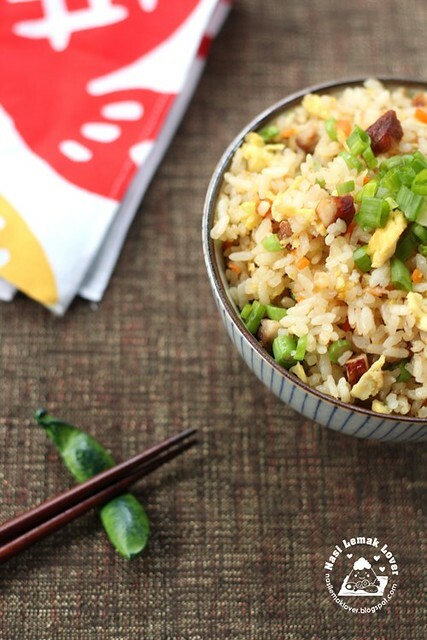 This fried rice with homemade chashu must be yummy! 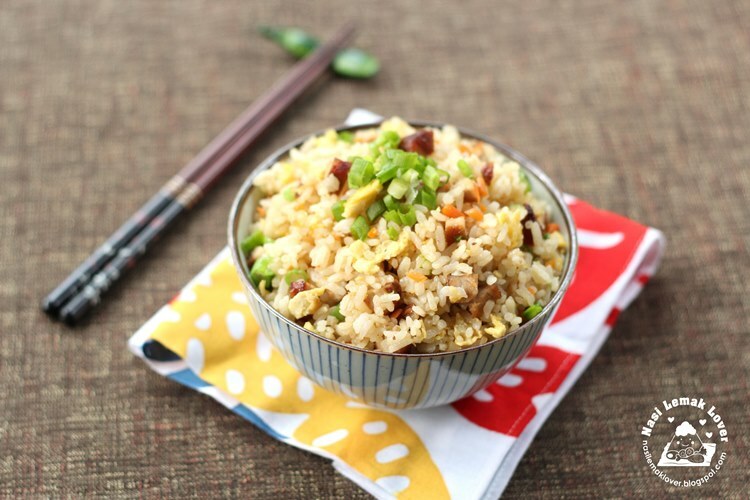 Yummy looking fried rice, something that can be eaten any time of the day. Lovely clicks! 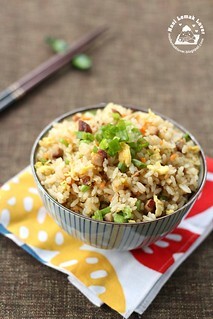 I love fried rice, thanks for sharing the Japanese version and I would love to make this sometime. Very nice Japanese style fried rice especially added the chashu!!!!yummy! i like fried rice. it looks yummy. Sonia! What a wonderful surprise! 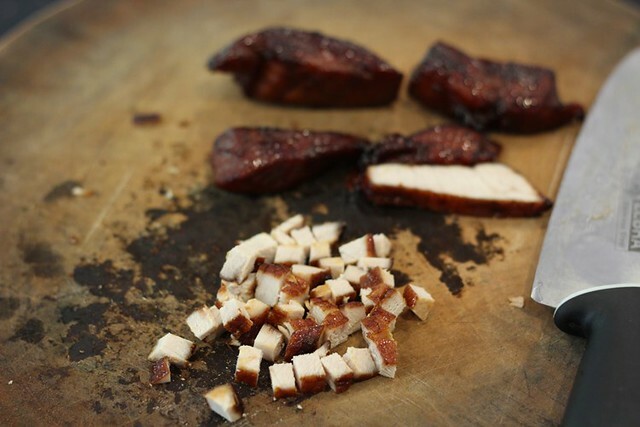 Thanks so much for the kind mention and for trying the chashu recipe. When I make chashu for ramen, I usually make extra so the next day or so I can make chahan with chashu. It's so good! Happy that you liked the little gifts as well. Lastly, congrats on the magazine feature too! Wow, thanks for sharing this easy and delicious recipe. 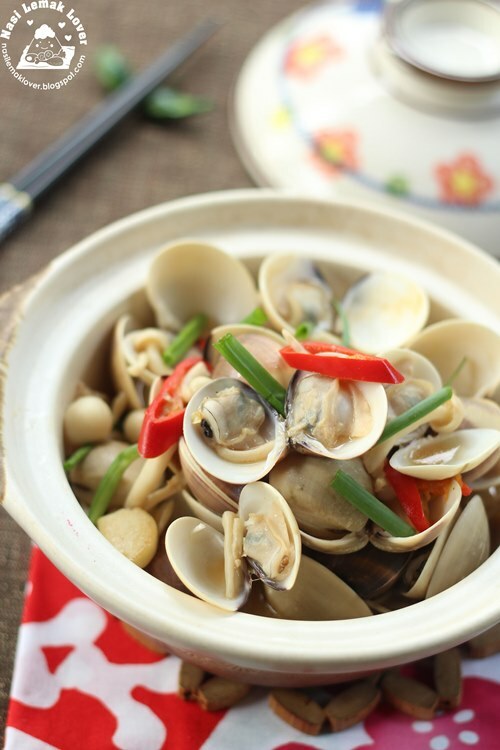 Japanese Miso Clams look delicious with corn rice. Looking forward for its recipe. Cheers!